Aside from offering some of the best home security systems in Houston, Mesa Alarms also makes concerted efforts to educate clients on other unique ways to protect their property. We want you, your family, and your home to be safe—period. To achieve this, here are a few home security do’s and don’ts to consider. Every home is unique, which means it needs a unique alarm system. From burglar alarms to access control and 24/7 monitoring to camera systems, this is without a doubt the number one way to protect your home. A cheap and easy way to ensure the safety of your family when moving into a new home is to change the locks. Nowadays it’s easier than ever to make duplicates of keys and you never know who might have one to your home. The last thing burglars want when approaching your home or vehicle is to have a spotlight cast on them. Motion detector floodlights can ward off anyone trying to stay in the shadows. Also, when used appropriately with camera systems, you can catch thieves in the act and have video evidence of their crimes. Jewelry boxes and fancy armoires may do wonders for your home decor, but they are targets for thieves. The last thing a burglar wants is to dig around your home for valuables. Having your valuables out in plain sight or in obvious places helps them achieve their goals quicker. Hiding a key outside your home may seem convenient from time to time, but trained burglars are well-aware of all your favorite hiding spots. And if your hiding spot is too good, you might forget where you hid it in the first place, which may force you to change your locks when it goes missing. You never know who’s watching online—especially on social media. To ensure the safety of your home and valuables, refrain from posting your vacation plans online. While you’re sipping Mai Tai’s on the beach and posting pictures on social media, someone could be raiding your home because of your convenient tip-off. 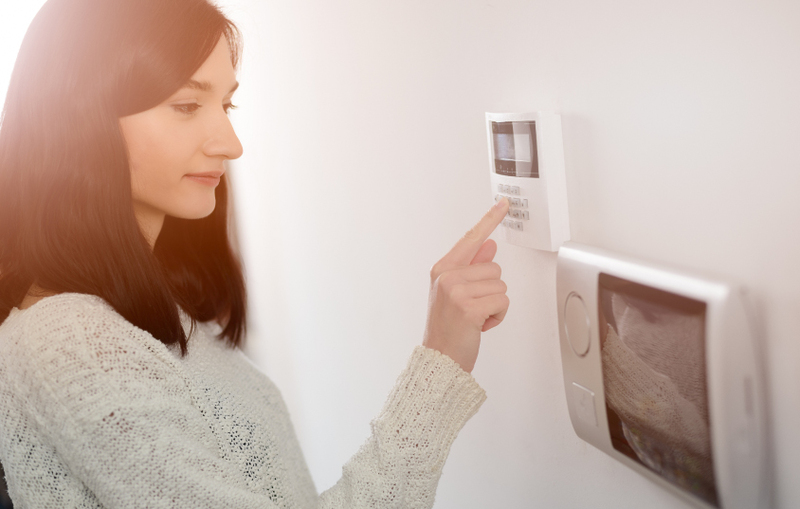 No matter your home security needs, Mesa Alarms, a Houston alarm system company, is capable of providing the state-of-the-art security systems you need to keep your family and property safe. Visit us online or call 281-690-4500 to learn more about our customized and integrated security systems.